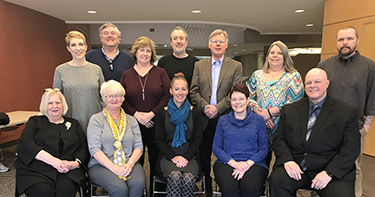 Our success would not be possible without the dedicated support of many prominent community volunteers serving on the ARTSGALA host committee as well as the Wright State faculty and staff serving on our internal committee. The ARTSGALA host committee is comprised of devoted volunteers who are passionate about the arts and who play a vital role with community outreach, event organization, and auction and sponsorship support. The ARTSGALA internal committee is made up of experienced faculty and staff from the College of Liberal Arts, event services, and advancement who work collaboratively throughout the year to coordinate the many details involving student entertainment, marketing, fundraising, and event logistics. Since the first ARTSGALA in 2000, these outstanding individuals have helped the College of Liberal Arts raise over $2.7 million for scholarships for Wright State’s fine and performing arts students. These amazing committees ensure that ARTSGALA continues to be the premier event in the Dayton area!